ASP.NET Blog | Silverlight 3 Tools Beta Released! Silverlight 3 Tools Beta Released! Silverlight 3 Tools Beta for Visual Studio 2008 SP1 is now available for download. The Silverlight 3 SDK creates XAPs compressed up to 40% better than the Silverlight 2 SDK. 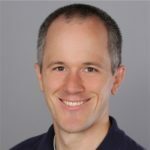 Reduce the size of your Silverlight XAP by referencing platform extensions (like DataGrid, Calendar, ScrollView, etc) hosted on Microsoft.com instead of packaging them in your XAP. This property is set on the Silverlight tab of the project properties. When you create a new Silverlight project, there is a new project template called “Silverlight Navigation Template” that will help you get started using the new navigation controls supported by Silverlight 3 like Frame and the new Page and ChildWindow file templates. Be sure to check out Corrina Black’s UX blog for new App.xaml files to re-skin this template. We are simplifying the traditional n-tier application pattern by bringing together the ASP.NET and Silverlight platforms. The RIA Services provide a pattern to write application logic that runs on the mid-tier and controls access to data for queries, changes and custom operations. It also provides end-to-end support for common tasks such as validation, authentication and roles by integrating with Silverlight toolkit components on the client and ASP.NET on the mid-tier. The toolkit components provide a rich set of controls for building LoB RIA applications. The Silverlight 3 Tools are for creating Silverlight 3 projects only. You will not be able to release Silverlight 3 projects until Silverlight 3 RTW. To switch your development environment from Silverlight 3 back to Silverlight 2, you will need to uninstall the Silverlight 3 Runtime and Silverlight 3 Tools from Add/Remove Programs and re-install the Silverlight 2 Tools. If you’re going to be frequently switching between targets, check out this blog on Switching between Silverlight 3 and Silverlight 2 Tools.